The shrug can be knitted to order in any available colour.Please contact us for details. No extra charge on custom colour. BEST FITTING womens size L and XL. The shrug this listing is about is knitted from a soft, skin friendly natural mohair fiber. 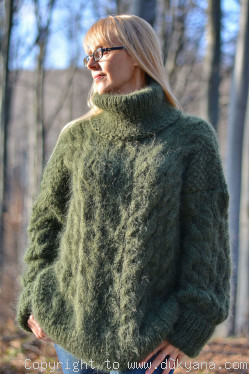 The quality of the mohair ensures the durability and the perfect look of the sweater for years to come as long as you keep to the maintenance instructions.